My Patriot Power Greens Review (2019) – Scam Or Not? It’s time for my Patriot Power Greens review – a product that seems too good to be true. As every product of this kind – Patriot Power Greens is very expensive, at almost $50 per bottle. So it is a scam? At first sight, it really looks like one. But let me reveal you all the things about this powder, based on my experience with it. Note: This review is based on my personal experience + research on this product. Where You Can Find It: The official website is probably the best choice. Designed For: Shortly – to decrease chronic inflammation (they claim this is causing every other problem). But according to the official website, it’s effective for many health problem (more on that below). My Rating: 6 out of 10 – It could be much better. I would recommend using turmeric instead – because it has similar benefits (but it’s much stronger and cheaper). I tried one of their other products (Patriot Flex). I was pretty disappointed by its effect. Now – Patriot Power Greens seems much better, at first sight. According to the official website, it’s designed to reduce chronic inflammation (it claims this is causing every other health problem). There’s no other product that can reduce all inflammation. There are some that claim they can – but they turned out to be scams. If Patriot Greens could do that, everyone would be using it. However, that’s only on paper – because in reality, Patriot Greens isn’t as amazing as it promises. So now that you know what it claims, it’s time to analyze all of its aspects. No doses/quantities for every ingredient. Only mentioned briefly on the label. Very little info about any. But there’s something else – none of the ingredients has major benefits for inflammation. The top 3 herbs for inflammation are Turmeric, Boswellia, Cayenne Pepper – and there isn’t any in this product. So for me, it’s pretty clear that Patriot Greens’ ingredients aren’t as amazing as they claim. Now – let’s take a closer look at the ingredients (there are 4 categories). 1. Spirulina – it’s an anti-inflammatory, but it also helps cholesterol and fight oxidative stress. 2. Seaweed – this substance can decrease inflammation and has an anti-diabetic effect . 1. Beet Juice Powder – beets have a low anti-inflammatory effect, but they’re great antioxidants . 3. Kale, Broccoli, Spinach, Parsley, etc. – these are all antioxidant herbs. 4. Strawberry, Blueberry, Raspberry, Dragon Fruit – these are actually designed to add a good taste. 5. Other Herbs – this includes Carrot, Goji Extract, Pineapple, etc. (they don’t seem to have major benefits for inflammation). I will not take these by turn, because they have the same benefit – to help digestive problems. So basically – Patriot Greens’ enzymes aren’t going to solve your digestive problems. These includes Bifidobacterium Lactis, Lactobacillus Acidophilus, B.Breve and some others. Speed up recovery after an infection. Most ingredients aren’t very effective for inflammation. No strong substances (like turmeric or Boswellia). There are no ingredients in the focus (all are mentioned together). Not mentioning the doses is usually a sign that they are very low. So I don’t think this product is as good as it claims. This product comes as a ready-made powder. You can use it to make a drink/smoothie. Has a dark green color and a fine texture. The color is similar when you mix it with water. The shake itself doesn’t have a thick consistency. In my opinion, taste is way too strong and intense. It doesn’t go away even if you combine it with other powders. So basically – if you don’t like a strong berry taste, you will probably not like Patriot Greens. I surely don’t like it, because its taste is way too strong. But in terms of color, it looks fine – considering that most powders are green. Fortunately, things are pretty good at this chapter. Patriot Greens is quite easy to use – compared to other products. But when it comes to drinking it, I think it’s less comfortable – and I will explain you everything below. Add one scoop of powder. Add about 16 oz of cold water (that’s about 2 glasses). Drink this shake once a day. As you can see, it’s not big deal – everyone can prepare such a simple shake. The biggest problem is drinking it. They take a long time to prepare. Most of the times they don’t taste really well. You have to drink quite a high quantity. The taste becomes hard to bear after a while. So I’m not a really big fan of Patriot Green – because the shakes aren’t that easy to drink. Here comes the most interesting part. I tried Patriot Power Greens myself – and I wasn’t very satisfied with the overall results. 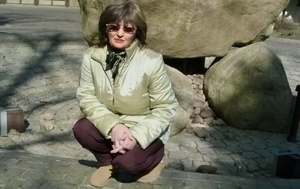 I was suffering from joint pain because of my arthritis. So I was curious if this powder could bring an improvement in any of these chapters. I did feel more energetic than usual (maybe 30% more). My joint pain didn’t decrease almost all all in 1 month. The pain was about a 6 on the pain scale – and it didn’t get much lower. My hands were still pretty swollen. I had pain flare-ups as often as before (1-2 times per week). I still had stomach pain sometimes (but it wasn’t because of the shakes). So basically – Patriot Greens did improve my energy levels. I also felt less stressed than usual. But in terms of pain and inflammation, it was absolutely useless. It claims to decrease inflammation, but my hands were as swollen as they used to – no smallest change. Also – those digestive enzymes didn’t bring any benefit to my stomach, as far as I could see. So considering it helped me at 1 out of 3 chapters – I wouldn’t recommend it. A certain turmeric product helps me at 3/3 and it costs less than half. So I would surely stick to that product instead. Most reviews I found were on the official website. That kind of reviews tend to be biased. And as I suspected, they only have positive reviews on that official page. There are no reviews on Amazon or Ebay. I found very few customer opinions. Most reviews I found were just general (not by a real buyer). So it’s pretty hard to draw any conclusions from other reviews (considering they’re not from people who really used this product). For this reason – if you used Patriot Greens personally, please let me know your experience in a comment. That would be really helpful to get a better opinion about it (not just from my experience). To be honest, Patriot Greens is way too expensive for what it does. I personally would not recommend it – not buy it again. To be honest, that is really pricey. If you make the calculations, it’s a lot more than $1 per day – which is really expensive (especially for a powder). So I personally would not spend my money on this thing, when there are cheaper alternatives (I’m talking about supplements). But I would probably prefer the official website – because it seems safer. That’s why the official website seems a better deal, in my opinion. I would surely not recommend Patriot Greens – also because it’s way too expensive. I don’t think it’s worth $50 per month, considering how it works. Before I tell you what product I recommend instead, let me show you why. Now – I won’t compare Patriot Greens with other powder products for general health. I will compare it with a supplement that has very similar benefits (for inflammation, pain, weight loss, etc). Costs only $24 per month (vs $50). Really stronger for inflammation (vs general health ingredients). Only 2 small pills per day (vs 16 oz of shake). Decreased my inflammation considerably (almost no improvement). Many positive reviews online (very few customer opinions). So I prefer to take a supplement and get real pain relief – instead of struggling to drink a shake and get no improvement. Plus – there’s a $25 difference in price between the 2. I don’t have a large budget, so price is an important factor for me. That’s why Turmeric Plus is my #1 alternative to Patriot Greens. Here’s how I would sum up my opinion on Patriot Greens (in 3 ideas). This product has more than 20 ingredients – but none of them is a major anti-inflammatory. Basically – the ingredients are only mentioned briefly, there’s no info about their benefits. And that’s probably because most don’t have any real benefits for inflammation. My pain and inflammation didn’t decrease. I still had often arthritis flare-ups. It didn’t improve my stomach problems either. The only chapter where it helped was boosting energy and relieving stress. But these weren’t major issues anyway. So in terms of effect – I would surely not use Patriot Greens again. That’s a fact – and I’m sure everyone agree with me here. So basically – it doesn’t do what it claims (at least in my case). Why would I pay $50 on a product like this? I prefer to spend $25 (or even $18) on a turmeric product that does the same things – BUT BETTER. My Verdict – Is Patriot Greens A Scam? Didn’t reduce my pain or inflammation almost at all. No effect for stomach pain. Really bad taste and high quantity to drink daily. Takes some time to prepare it. In other words, Patriot Power Greens didn’t keep its promises – it didn’t decrease my inflammation. That was the #1 reason I bought it for. So I would surely not do it again. What do I use instead? : A turmeric supplement. Considering my favorite turmeric supplements costs just $25 – I think it’s a lot more worth it than Patriot Greens. So that’s the alternative I personally use. My Joint Juice Review – Is It Worth All That Money? My Theraworx Relief Review – Scam Or Legit? Hi! I bought Patriot Power Greens together with my son, I have hip arthritis and he is passionate about nutrition and healthy lifestyle. We were looking for something to use in shakes because I was sick of creams and he wanted a new addition to his supplement collection. WEll it was not effective for me but he loved it. He would prepare the shakes for both of use every morning, but I had a hard time drinking it all. I would sometimes take it with me at work and drink it throughout the day, do you think this might have decreased its effect? I didn’t drink it so fresh, but not sure if it matters. My hips weren’t any better even after the third bottle, which I bought for my son. But he says he feels much energetic and I can see that in his living. Maybe it’s more helpful for people that are already healthy. Hi Felicia, your experience with Patriot Power Greens is really helpful. First of all – I agree that this product is good for general health (as any power supplement is, actually). Secondly – I’m not surprised it didn’t help your arthritis, since its ingredients aren’t very potent for that. You say you’re at the 3rd bottle, which means you’re already taking it for 3 months. That’s long enough to see if a supplement works or not – so I doubt Patriot Greens will help you a lot more in the future. Regarding your question, it doesn’t really matter if you drink it at once or drink 1 oz several times a day. There’s nothing about freshness – it’s a powder after all, so there’s nothing fresh in it. So you can take this off your mind, it’s surely not the cause why it’s not effective. You also mentioned you’re sick of creams, which I’m glad to hear. Creams only treat your pain for several hours, but after that it comes back just as strong. So I see creams as “pain hiders” – because the pain is still there, it’s simply hidden by them. So the best thing you can use right now are supplements – because they work on the inside, treating the cause first (not hiding it). These products are my top choices for hip arthritis, so they should really help. You can also use heating pads or patches whenever stiffness comes in and you can’t move too well. Heat really decreases it. Make sure you stay hydrated and consume the right foods, because all these can really add up. Hi Heather, I’m a previous user of Patriot Power Greens powder and my results weren’t the ones I had expected. I have rheumatoid arthritis and constant pain in my wrists. These servings weren’t very effective as my pain is still strong. I was looking for alternatives and I received a message from a brand called Arthrozene, they seem to have a really good product for joint pain. Do you know it and if it’s worth trying? I remember it’s not very cheap, but money doesn’t matter as long as it soothes my pain. Thank you. Hello Greta, thanks for your feedback on Patriot Power Greens. You have RA, which is caused by inflammation – which is what this product is designed for. But it’s probably too weak for chronic inflammation (despite claiming to be great). Regarding your question, I know Arthrozene pretty well – but it’s not a product I would recommend. It has some trademark ingredients that look pretty good (though they don’t have high doses), but I didn’t have good results with it. And I also don’t recommend it because it’s expensive, it has a similar price to Patriot Greens. Now – if price doesn’t really matter for you, you can give it a try and see, maybe it helps. But the products that work best for RA are usually the ones based on turmeric. So that’s what I would recommend you. Turmeric decreases inflammation better than any other herb and it has quite a few side effects (compared to NSAIDs or other drugs). Plus that you can find hundreds of different brands and most have good prices. But anyway – you know best how much you’re willing to spend on a supplement. So if you afford trying Arthrozene, go for it. PS: You can also try these alternative remedies, maybe they can also help you. Thanks for the review, good job! I like Power Greens and how the shakes taste, I tried other powers but this one is different because it has the daily quantities directly divided into servings. There’s no chance you take more or less than you need, so one bottle always lasts 30 days for me, sometimes more because I forget to take it. I have knee pain and I don’t think it has gotten much better since I’m using these shakes, but I feel much better in general, sleep well, can eat normally and I even have better hair. Don’t know if that has anything to do with the joints though, but probably not. Would taking turmeric help my knee pain better, what do you say? Hi Thomas, thanks for letting me know your opinion on Patriot Power Greens. I’m not a big fan of powders, but I did try a few – so I agree Patriot Greens has certain advantages. Now – if it doesn’t improve your knee pain at all, it’s probably because there’s no inflammation. So your pain must be caused by cartilage damage (that’s not really osteoarthritis, but it’s a beginning of it). So anti-inflammatory herbs are pretty useless for cartilage damage. What you need is something that rebuilds cartilages – which is the combination glucosamine + chondroitin. Regarding turmeric – it’s the best herb for inflammation, but that’s not behind your pain. So turmeric would probably not help much. That’s why I recommend you to try a product with glucosamine and chondroitin, because they have the best results in your kind of problem. Some of them are quite pricey, but you can also find some decent ones. My favorite supplement for OA actually has a good price (compared to the rest) and works maybe even better. So it’s all about researching and not buying the first thing you see. Additional to a glucosamine supplement, you can also use oils to massage your area. I don’t necessarily recommend using essential oils, since regular ones work well enough (Olive or Coconut oil). But CBD Oil is probably the best for pain (only if you manage to get it, I know it’s restricted in some countries/states). Also, try to move as much as you can and perform some easy exercises if possible. Yoga can help stretch your muscles and joints, even though it doesn’t improve the pain itself. If you want more herbal and alternative remedies – here’s an article about natural ways to improve OA. Anyway – these are just some small tips. In case you need any other, just let me know and I will give you a longer list. Hope this helps. Do you think Patriot Power Greens would be good for osteoarthritis? I have pain in my knees but I don’t think it’s inflammation, they don’t look swollen. Does it have better ingredients for OA than for inflammation? Hi Mitch, Patriot Power Greens is actually designed for inflammation – not for arthritis. Now – there are some types of arthritis that are caused by inflammation (rheumatoid and psoriatic arthritis mostly). So it could help these forms, since their main cause is inflammation. But thing is that Patriot Power Greens isn’t actually an arthritis supplement. 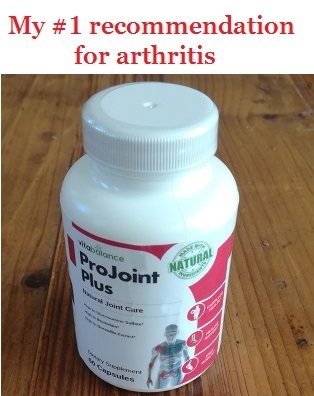 So the fact that it’s helpful for some forms of arthritis is just a consequence of its anti-inflammatory formula. Sorry if I didn’t explain it well, but hopefully you get the point. So this powder isn’t going to do anything for OA (which is mostly caused by cartilage damage). Patriot Greens contains only anti-inflammatory herbs, and that’s not going to help osteoarthritis. Make sure you choose a product with glucosamine sulfate, because that’s the best form of this substance. Anything over 1000 mg should do. You don’t need a huge dose of chondroitin, though. MSM and bromelain are also ingredients that can help (but not as much as glucosamine and chondroitin). My top recommended product is called ProJoint Plus, because it’s the cheapest supplement that worked well for me. It was also one of the fastest I’ve tried, as I could see a small improvement in less than 1 week – which is really quick. So I don’t recommend you to buy Patriot Power Greens for OA, it’s surely not going to help (only for your general health problems). If you have any other questions, please let me know and I will see if I can help.